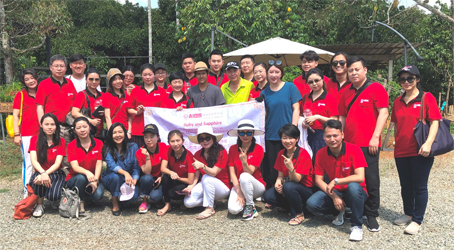 Twenty Chinese gemstone dealers completed a special five-day Ruby and Sapphire Buying Course at the Asian Institute of Gemological Sciences (AIGS) in the Jewelry Trade Center in Bangkok. The course in March included three days of theory on how to source and trade gems, and an exclusive day of meetings with brokers, in which students engaged in authentic transactions from a big range of gems offered by the Asia Gem Center, including stones from mines which have closed. The students were able to request various types and sizes of gemstones from the brokers. The Asia Gem Center allows clients to compare stones from over 2,000 registered merchants within one location inside the Jewelry Trade Center. “As AIGS is located in the Jewelry Trade Center, the heart of Bangkok’s gem district, students gained a unique opportunity to get practical experience after their classes,” said AIGS Chairman Kennedy Ho. 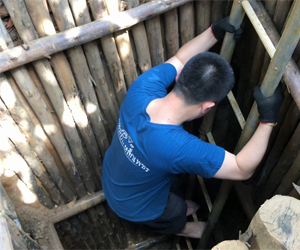 As part of the course, the Chinese students joined a field trip to Chanthaburi, around 250 km from Bangkok, to visit the World Sapphire Center, and the famous gem market and gem mining area. AIGS is planning similar courses at the Jewelry Trade Center later this year, possibly in June and July, and is looking to improve the content further to give students additional skills and knowledge.